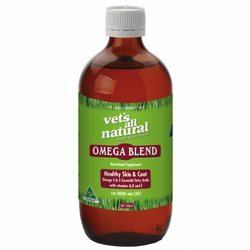 A completely natural multivitamin for your pet. 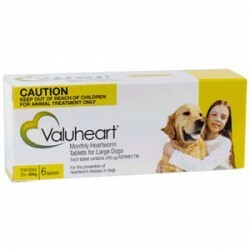 A completely natural multivitamin for your pet. It provides the essential vitamins, minerals, trace elements and antioxidants and is particularly beneficial for young growing animals, older pets or pets recovering from illness or surgery. Directions for use: PUPPIES & KITTENS Add 10g (two teaspoons) per 250g of moist food. ADULT DOGS & CATS Add 5g (one teaspoon) per 250g of moist food. DURING LACTATION Add 15g (three teaspoons) per 250g of moist food. Ingredients: Dolomite, Liver Granules, Flax Seed Meal, Vitamin C Powder, Green Tea, Milk Thistle Extract, Grape Seed Extract, Brewers Yeast, Barley Grass Powder, Kelp Granules, Parsley Powder, Ginger, Lecithin Granules, Wheat Germ, Garlic Powder, Collostrum Powder, Shark Cartilage Powder, Boron Chelate, Zinc Chelate. IT IS THE FIRST TIME FOR ME TO GET THIS PRODUCT. BUT THIS IS AN AUSTRALIAN PRODUCT AND I HAVE CONFIDENCE FOR IT. THOUGH IT'S A GOOD DEAL AND HAS DIFFERENT SIZES TO SUIT DIFFERENT DEMANDS.